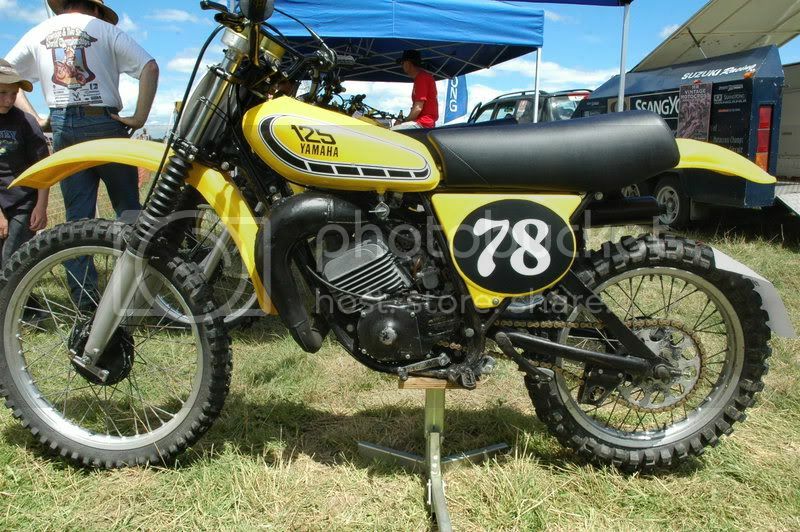 Basically, Yamaha's YZ125C (537 prefix) should have been the 1975 125B, but (for whatever reason) it was running late, so they released it as a 1976 model. Then the X came along as a '1975.5' model. The X's prefix is 1G8. So neither bike is particularly common, but nor are they all that rare either. The C has 34mm non-air forks and is white with a red stripe. Along with the change to 36mm air-forks and yellow paint, the other significant differences are that the X has a much larger carby, different porting, much better chain tensioner and stronger frame. Multi-Mount's blog has some useful info about the differences. 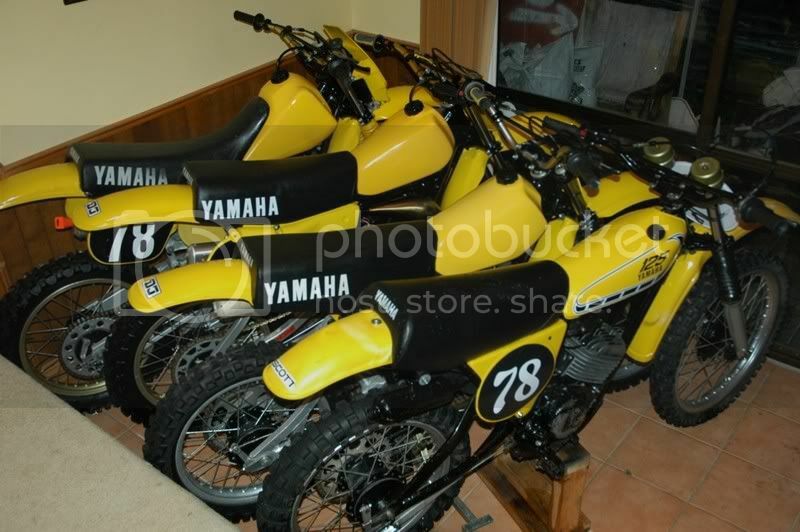 According to bike tests of the day, the X (along with the RM125S) was the best 125 of 1976, so I presume that they sold a fair number of them. Both the C and the X have benefited by being generally unloved among the racing crowd, and generally unloved until quite recently. Thanks for the info guys. Seems i will finally have the tuning fork brand gracing the shed. Actually an x and c. I will be a bit of a 'go to' guy for yami parts as well in the near future. The X motor is a bit different from the 'C'. the clutch is different, the electrics, the pipe is about twice the size, the crankshaft main gear, swingarm is longer, suspension is longer, the footpegs. That sort of stuff. Welcome to the best brand Brad. I've actually onto another one, thanks to a forum member.